First ever hair color in the form of a capsule. Cost effective and user friendly product. Suits fit for all types of scalp conditions. Gives shining black color to the hair. Spott color may be regarded as one of the best hair colors in the market for covering smaller areas like sideburn, hairline, root touch ups, goatty and temple areas. 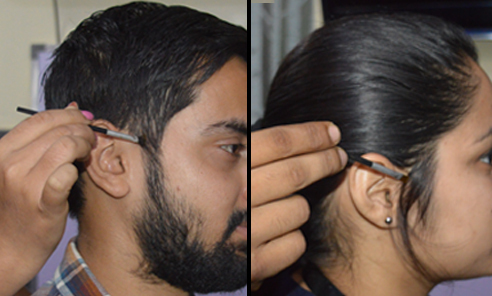 It is India’s first capsule hair color that can be used to cover mustache and beard. It gives shine and smoothness to the hair. Being a natural hair color, it is one of the safest hair colors so far in the market for usage. 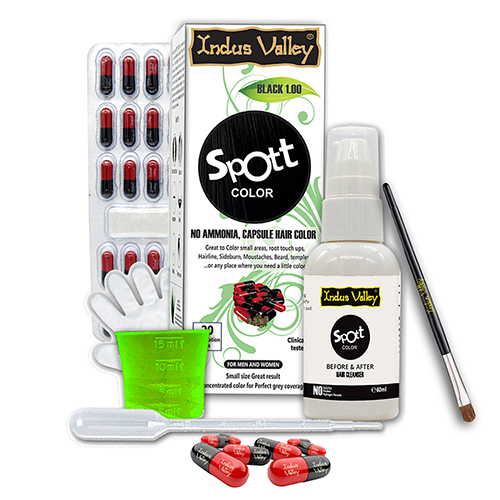 Spott Color is India’s First Capsule Hair Color and it’s used to cover smaller areas. It suits best for all types of scalps. 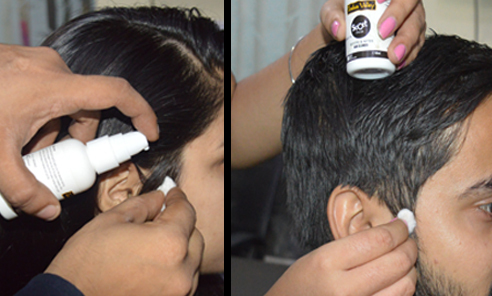 Both men and women can use this for getting the Brown Shade on the hair. It is affordable and easily available. 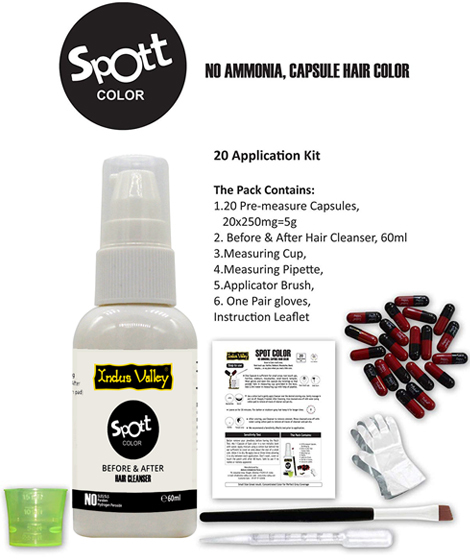 Spott Color is an essential hair color for getting the shine on the hair. It comes out to be very handy in case of saving time as well as effort. One thing that’s quite assured is that it is an economical hair color, which is in much demand in today’s scenarios. It is efficient as it gives maximum output with minimum input. So, 1 capsule is enough to cover small areas at a time. It consists of a pack of 20 capsules and each capsule is equally efficient. This color comes in a highly concentrated form. The color it imparts stays for around 6 weeks. 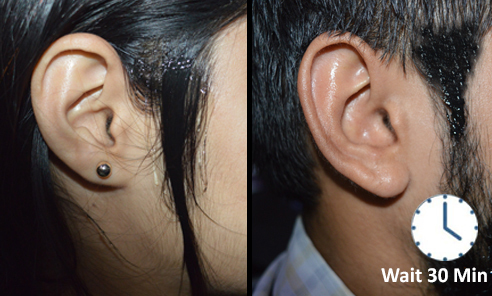 Being lightweight in texture, it’s used by people of various age groups. Use a cotton bud and soak it in the cleanser. Then, apply the cotton dipped cleanser to the desired coloring area to make it ready for coloring. After the cleansing part, rinse the cleansed area with water to remove all the traces of cleanser and pat it dry. Then, apply the hair color gently to the hair with a special brush. Leave the hair color for around 15-30 minutes and keep it long for darker color. This allows the hair color to stay there for proper development. Now, it’s time to use the cleanser to remove the color. Use a cotton pad to rinse the cleaned area to remove all traces of hair color and pat it dry.